Sprout has always been one of my all time favorite fairies and Dawn did an amazing job with her. 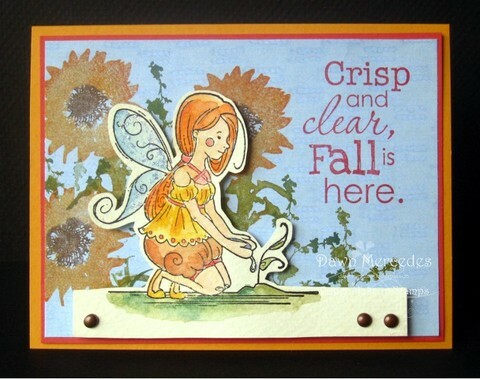 I love the fall colors and that gorgeous background!! Awesome Dawn!! Thanks for playing along! Have a wonderful weekend!! !